When the Khmer Rouge was driven from power at the end of 1978, Vann Nath was rescued — one of only seven of the more than 14,000 prisoners to survive the prison. 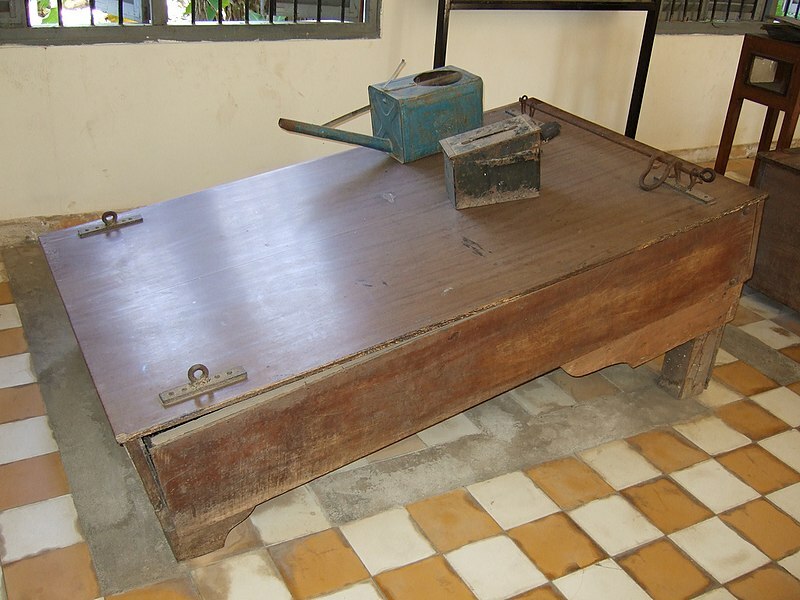 In all, the Khmer Rouge killed between 1.2 million and 1.7 million people. After gaining his freedom, Vann Nath painted scenes of life in the prison, and wrote a book about his experiences, both of which helped to document what few lived to tell about. Tuol Sleng prison reopened in 1980 as the Tuol Sleng Memorial and Genocide Museum, which features many of Vann Nath’s paintings, including his own self-portrait. 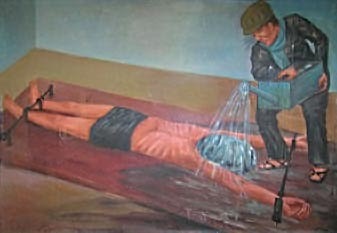 “I was just a body then,” he said in 1997 about the starving man in his painting. “My spirit had gone out.” In 2009, he testified against S-21’s prison chief Kaing Kek lew at his war crimes trial; “Comrade Duch” (as he was known to most) was sentenced to 35 years in prison. Vann Nath, who never regained his health after his imprisonment, died September 5 in Cambodia from kidney disease and other problems. He was 66. Only two other inmates from the prison are known to survive him.